If you didn't catch my little announcement in my Pregnancy Announcement Ideas post then this post should get you up to date! We are expecting number 4 this winter! 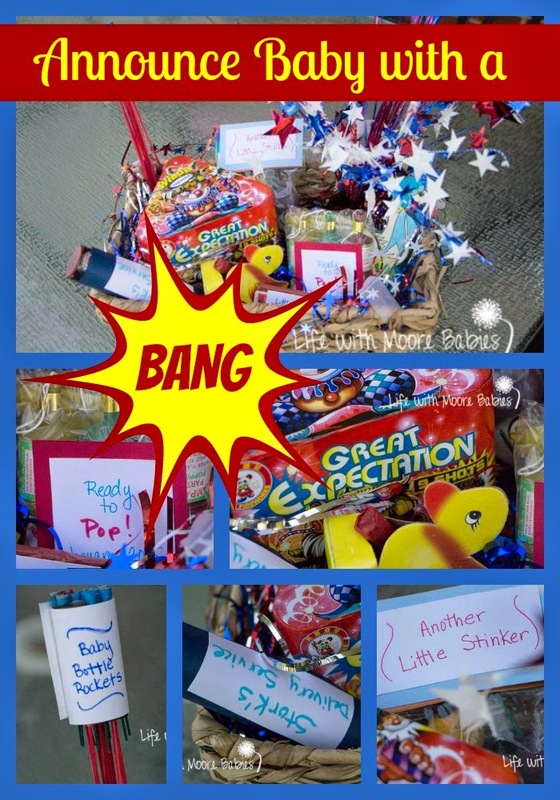 We told family around July 4 with a cute fireworks themed basket! 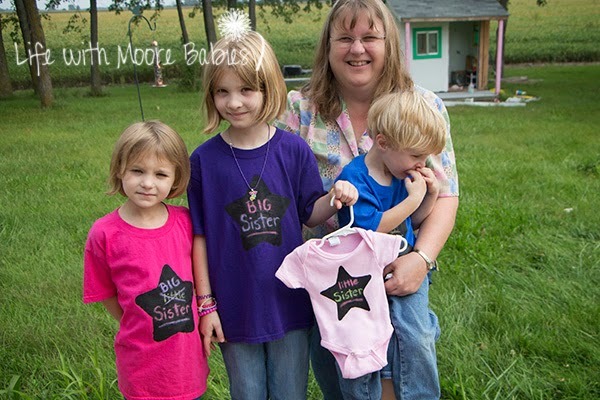 I wanted a fun way to announce this babies gender without going completely over board (it is number 4 after all). Honestly I wanted to wait until it was born and be surprised, but my husband was having none of that (and I thought I was the inpatient one)! 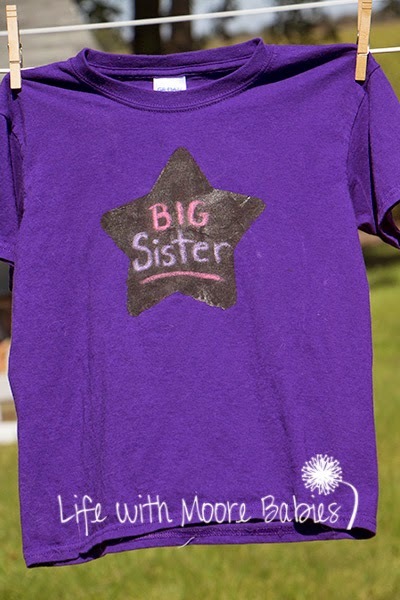 So I decided I wanted to make each of the kids a shirt they could wear as well as one for the baby. 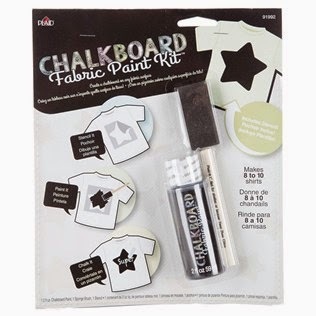 While wondering around Hobby Lobby I came across fabric chalkboard paint. It even came in a little kit with a stencil and a foam brush! 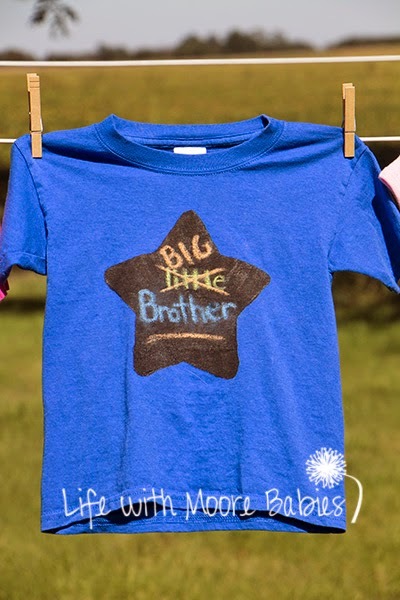 I thought this was a great solution for making shirts that could be reused too (I mean how often do kids really wear a Big Sister shirt; mine like twice)! The paint was really pretty easy to use too. 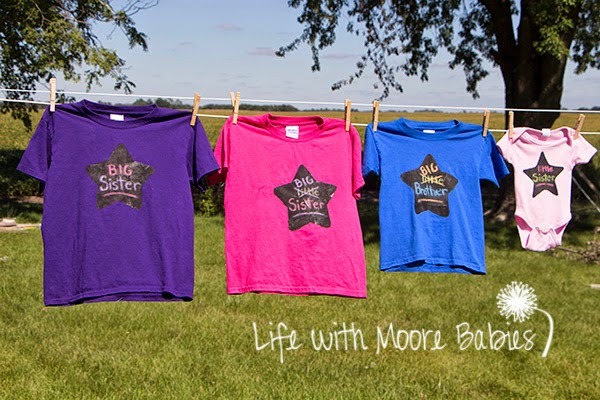 I started by picking out shirts in my kids favorite colors and washing them. Once they were dry (and ironed) all I had to do was apply the stencil and then use the foam brush to paint on the chalkboard paint. Then I let it dry a couple days to be sure before I wrote on it. I just used plain old crayola colored chalk to write my messages on the shirts; of course I let the kids choose which colors they wanted though. Some of the shirts had to be redone a couple times until I got the hang of how to space the words. Luckily it was really easy to clean the chalk off with a damp rag and then leave it for a couple minutes to dry! 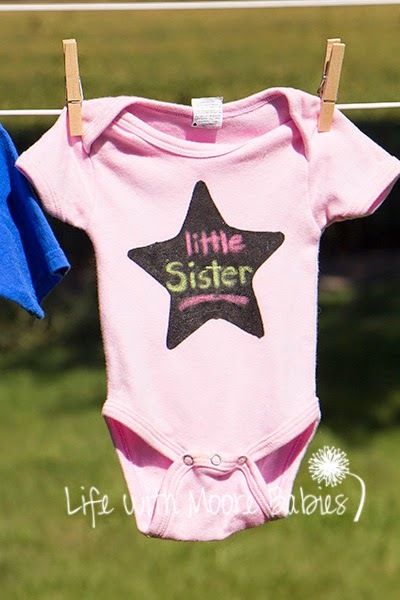 I did have to make a smaller stencil with freezer paper for the onesie, so if you want to make your own stencil it is totally doable. All you do it use freezer paper and iron it shiny side down before painting. Pull the stencil off before the paint dries! 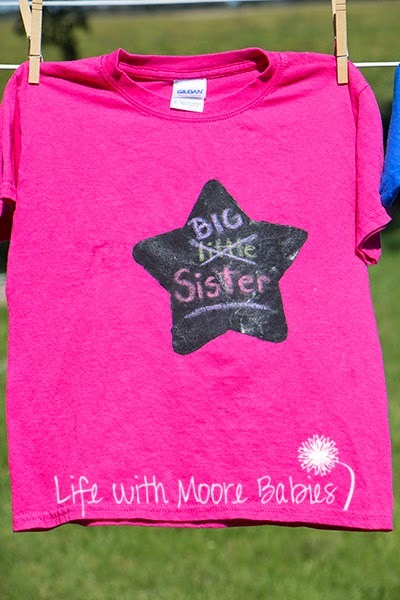 That's right we are adding a surprise baby girl! 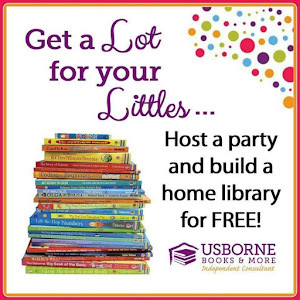 Really we figured that was the case from the beginning, but at least we know and can plan (or should I say craft) appropriately! 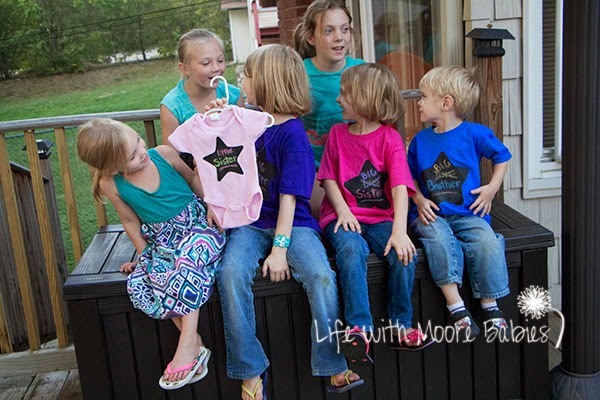 I never could get a good picture of all the kids holding the little shirt. Either Eli was too upset about having his picture taken (really it was about the picture not another girl) or the girls were way too excited! I was just happy that in the month following the ultrasound (which is also when we told the kids), they didn't tell anyone! I was pretty worried they would be blabbing it as soon as they found out! I have since washed the shirts (laid flat to dry), and they look great and are ready for some new messages! 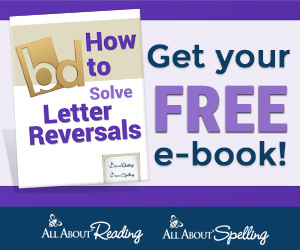 That was the best part about the chalkboard paint; it is totally customizable! How did you announce your babies gender?